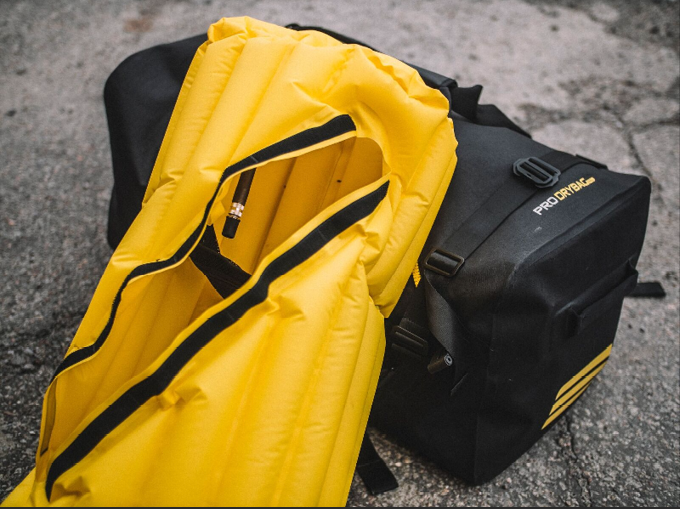 In this DryBag 2.0 Review, we will tell you whether this bag really worth buying. Having a great time outdoors may spare you some breathing space from all the urban stress. No matter which natural adventure is in your likings, such as the popular recreation activities like jungle trekking, water sport, hunting, and canoeing, you will probably get wet. Not to mention, you need to bring your electronics with you, such as the smartphone, camera equipment, and laptop. So, how do you protect your valuables while still able to have fun at the same time? Take a look at your backpack now, isn’t it the time to change? Meet Subtech Sports. Subtech Sports is an Australian company founded in 2011 specialize in developing tough sports accessories for extreme sport. 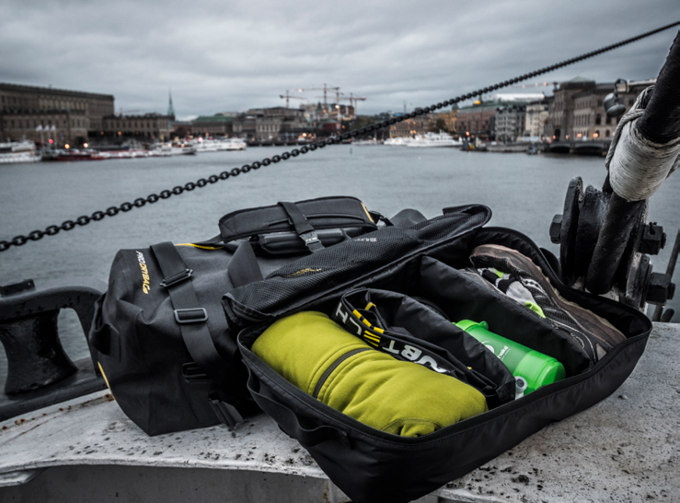 In 2014, they have launched their first Kickstarter campaign with the flagship 45L Pro Drybag (It is now on Amazon). The response was great. The campaign end up funded $87,662 from 738 backers with the initial pledge goal of $11,548. 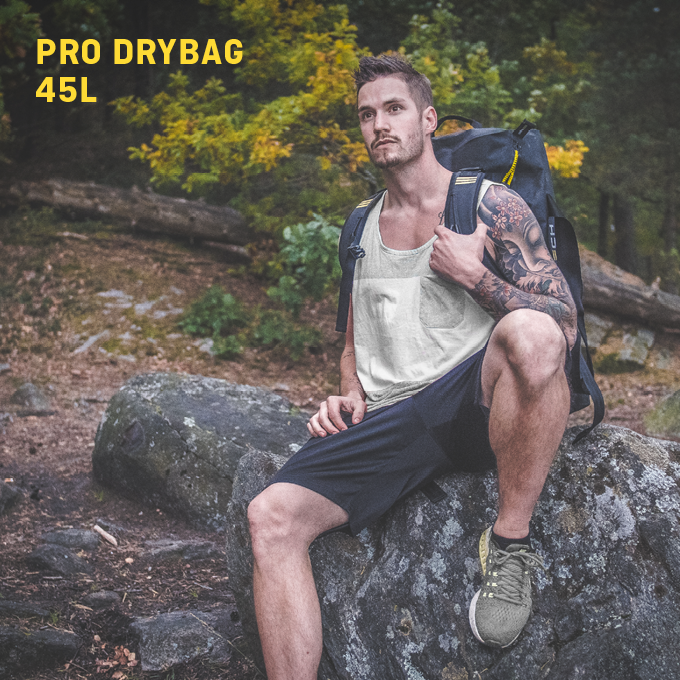 Years later, just before the next summer gets near, they are back to Kickstarter now with the 2.0 version of Pro Drybag. Before we get into the detail of whether is this bag worth a buy, let’s take a look at the existing competition in the market. With so many confusing options in the market, this “Amazon’s Choice” waterproof backpack by FE Active is so far the best in class. For some of the noteworthy feature such as the FE Active bag offers 30L capacity which is enough for normal use, thoughtful corded construction with mesh, mostly positive reviews from the customer and lastly the price is very reasonable. So, is that win it all? Alright, let’s end this article right here, no? Hold up a sec, read the title below. Review and Discussion – Should you get this bag? Pro Drybag is listed by ISPO as one of the top 50 of design award. There is a saying “Good merchandise, even hidden, soon finds buyers.” That is exactly the case in this Pro Drybag 2.0 by Subtech Sports. This bag is certainly what you’re looking for in your next water trips. It offers almost all the protection you need to look after your expensive camera equipment, while you can totally chilling in the water. First off this drybag, as its name suggests, can keep your valuables completely dry from water. It is rated as IP68 dust tight, the highest waterproof classification that offers waterproof even below 168 ft submerged under water. Some of the backpacks in the market often providing a minimal waterproof ability, like the FE Active bag mentioned above, which will usually leak when the pressure gets higher. Another feature of this drybag is that it can float atop the water surface. Everything is unpredictable when your foot is not on a solid ground, this bag doubles as a temporary lifebelt. Thanks to the air column, it floats on top of the water and can hold up the weight of an adult. The exterior of the bag is made up of tough waterproof and rip-proof material. 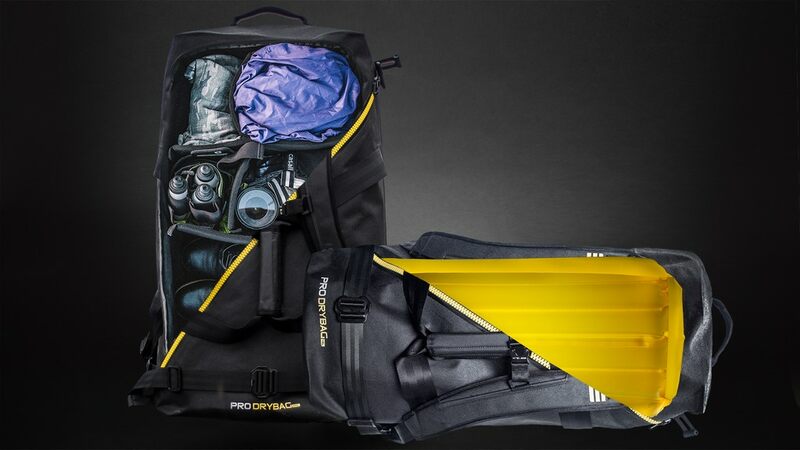 To protect your gears, Pro Drybag 2.0 has included a mouth-inflatable airbag. It has been tested up to 500mbar/7psi water pressure, therefore your equipment will not get cramped, it also serves as a buffer for shockproofing. The other cool features including the use of aircraft grade 7075 aluminum hook for detachable straps, magnetic handle, and also the sleek yellowish reflective logo provides some night visibility. Subtech Sports also offer internal pack system, divider, and the 95L dry tote bag as an add-on if you need one. If you think 45L is still not big enough for you, they have a 100L Pro Drybag for you! Subtech Sports Pro Drybag 2.0 is now having a big discount on their Indiegogo campaign which gives out up to 63% off MSRP. To support their campaign, please check out the green link below. For warranty, you can return the product for a full refund if found defective in any way. Otherwise, if you don’t think this is for you, check out our recommended bag for water sports on Amazon. This project is now funding on Indiegogo.